SavingDinner's Winter WIPEOUT!! Over 50% off! A few days ago I was at the mall looking at all the new fresh spring clothing–very tempting, except for the fact that we’re still very much in the midst of winter! But the great thing was, all the warmer clothing that I can use right now was still there, just marked down sometimes over 50%! That’s what we have here, folks. A bundle of wintery savings to keep you warm for the rest of winter with over 50% savings! 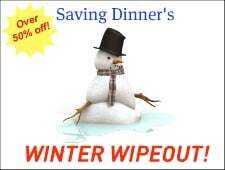 Our Winter Wipeout Bundle has every single warm, comfy, wintery soup and casserole recipe that has made us famous. 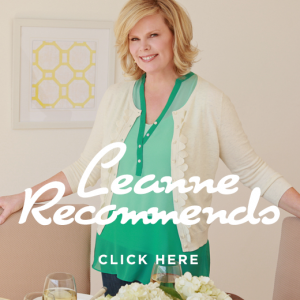 All together there are 60 recipes in our signature style–giving you plans to use these recipes in menus and shopping lists, nutritional information and serving suggestions. Not only that, but some of these terrific recipes morph into another creation–From Casserole to Soup Volumes 1 & 2 contain delicious recipes like Sicilian Beef becomes Tuscany Beef Soup. Get it? We have 20 morphing recipes in all, including Chicken and White Bean Cassoulet, Chorizo Egg Casserole and Crock Chicken Chowder. Altogether this bundle is $60–today, only $27! But there’s more–(of course!). We’ve also included our Rotisserie Chicken Menu as a bonus! Got a sale on rotisserie chickens at your grocery store? Snap ’em up! We’ll show you what to do with them–like make Not Your Papa’s Barbecue Chicken Pizza or Chinese Style Rotisserie Chicken Salad for example…5 great recipes in all. We’ll show you how to make your own roasted chicken too, if you wanna make ’em yourself! AND as a bonus for the next 100 people–a BRAND NEW BONUS!! Our March Madness Menu! You know you’re going to be watching, so why not have the perfect party menu to make game time the best ever? This menu includes Backcourt Bar Nuts, Tip-off Taco Dip, Hook Shot Jalapeno Poppers, Point Guard Pizza Pockets, Slam-Dunk Sliders with Chipotle Mayo, Fast Break Fajitas, Free Throw JoJos, Black Forest Cherry Pickers, Half Court Hopscotch Bars and Kettle Corn “Basketballs”. Too cute, too fun!! This menu is ONLY available as a bonus and goes into the vault after this week! ACT NOW! Get your Winter Wipeout Bundle with a LIMITED BONUS March Madness Menu! You’re going to love everything about this deal–don’t wait, get yours TODAY!